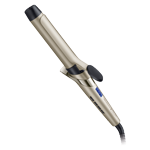 Infinite Protect Straightener is rated 4.7 out of 5 by 39. Super sleek hair with a serious shine is a style that never goes out of fashion, but daily styling can sometimes mean you lose that natural sheen and experience colour fading. Introducing the Infinite Protect Straightener that lets you create your individual style whilst keeping your hair looking healthy and vibrant. 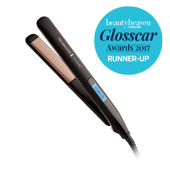 The Infinite Protect Straightener features the Intelligent Sensor and Advanced Ceramic coated plates infused with Shea Oil & U.V. filters, offering your hair 2.5x more protection and 5x longer lasting colours for beautiful vibrancy and shine*. With a fast 15 second heat up time and 5 temperature settings from 150°C to 230°C, looking good for every occasion has never been quicker or as effortless. Rated 5 out of 5 by Marie H from Straightener actually protects hair I purchased the Remington infinite protect straightener recently and I love it. 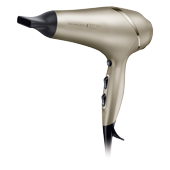 It has a protective feature that keeps the temperature at 150 degrees so that your hair doesn’t get damaged and the blades are impregnated with Shea and UV oils . Straightening my hair now is a breeze and I no longer have to worry that I’m torturing it!